Lani is the Executive Director of Footsteps, which supports and affirms individuals and families who chose to leave ultra-Orthodox communities in their quest to lead self-determined lives. 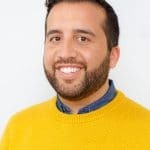 The successor to Footsteps’ founder, Lani has driven the organization’s growth from a 3-person start-up with a $400,000 budget in 2010 to an established 501c3 with 15 staff, a program center in Manhattan with satellite programs in Rockland and Brooklyn, and a $2.3 million annual operating budget. Under her leadership, Footsteps’ profile has expanded to reach the pages of The New York Times and the screen of Netflix, which debuted One of Us, an award-winning documentary about three courageous Footsteps members. Along the way, Lani has espoused a leadership philosophy that centers members, including representatives at all levels of governance and decision-making. 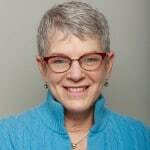 During her tenure at Footsteps, Lani has also focused on collaborations, including the development of three flagship partnerships with peer organizations: New York Legal Assistance Group, Madison Strategies Group, and Moishe House. 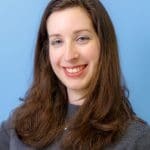 Prior to Footsteps, Lani served as a Senior Program Officer at American Jewish World Service, where she focused on immersive international service-learning experiences for young adults. 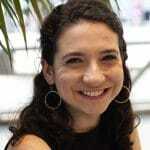 Lani is an alumna of Avodah’s Jewish Service Corps and served on the Avodah board from 2004-2013. She currently sits on the UpStart Advisory Council and was named to the Jewish Week’s “36 Under 36” list in 2015. 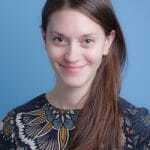 Lani graduated from Barnard College and holds an MPA in Public and Nonprofit Management from NYU’s Wagner School. Lani lives in Brooklyn with her husband and young son. Jessica has spent the past nine years working with NGOs, nonprofits and individuals in the US and abroad to raise revenue and awareness for their causes. From on the ground support of women human rights defenders on the Thai-Burma border to creating networks of grassroots giving circles in New York, Jessica has a wide range of experience working with marginalized groups around the globe. She most recently served as the Director of Development at Maloto, an organization dedicated to alleviating poverty and empowering the next generation in Mzuzu, Malawi. She holds a Bachelor’s degree in Psychology from Smith College. Betsy has been committed ensuring that populations otherwise marginalized secure pathways to independence and self-sufficiency throughout her career. Prior to joining Footsteps, she was an administrator in the field of social service administration and programming for people with physical disabilities for over twenty five years. As Senior Administrator at VISIONS/Services for the Blind, Betsy designed and managed an array of programs for people of all ages with vision loss. In 1981, she helped found the Elizabeth Coalition to House the Homeless (ECHH) and has been an active board member throughout its history. Prior to her work in social services, Betsy worked as an elementary school teacher, free-lance photographer, filmmaking/photography teacher and public relations consultant. Betsy was awarded a Bachelor of Science in Education by the University of Pittsburgh and received her Masters of Fine Arts in Filmmaking from New York University. Betsy joined Footsteps in January 2014 and in her capacity as Director of Support Services she oversees social service support to Footsteps members, especially those in the early stages of their transitions. Tsivia has a background in public policy, organizational management and assessment. Prior to joining Footsteps, Tsivia worked at The Jewish Theological Seminary where she managed processes that contributed to the everyday functionality of its academic programs, from accreditation to budgeting to course scheduling and beyond. Prior to her six years at JTS, Tsivia was active in her hometown, Detroit, where she researched public health and economic development strategies for a local think tank, wrote copy for her local public radio station, and contributed to her US Senator’s committee and home offices. She also served various populations in Jewish communal settings. Tsivia was awarded a Master’s in Public Administration from Wayne State University, in 2008, where she previously received a Bachelor’s degree in Public Affairs and Political Science. She grew up within the Chabad community in Detroit. Tsivia joined Footsteps in 2015 and will help build an operations department, overseeing key administration functions and developing systems and processes to help Footsteps grow and strengthen into its second decade. Chani is a leader in the fields of personal growth and spiritual development. She has reached individuals and professionals in North America and Europe through a series of workshops, panel discussions, teachings and motivational speaking. Over the years she has led informational and support groups, on a variety of topics. She coaches individuals and professionals in defining and achieving their goals. Chani is committed to being a part of Footsteps as she knows first-hand the complexity of leaving the black and white world behind. Chani joined Footsteps in 2013 and in her current capacity, she serves members in Rockland and Orange Counties and coordinates the Footsteps Family Justice Program, which includes working with members going through difficult legal family issues. As part of her role at Footsteps she trains staff in various partner organizations that provide resources for Footsteps members, such as attorneys, social workers, and guidance counselors in colleges. 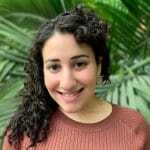 Yael joined Footsteps in May 2018 as the organization’s first ever Director of Field and Movement Building. In this position Yael will work to raise Footsteps’ visibility in order to mobilize the public around reform efforts and issues of concern to those leaving ultra-Orthodoxy. She will also develop strategies for Footsteps to broaden its reach so that all those who wish to access the organization understand what Footsteps is about and what it has to offer. Yael grew up in the Orthodox community herself, and her own personal experiences there inspired her lifelong commitment to advocating for those who are forging self-determined paths. 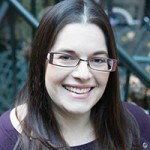 Yael is a passionate nonprofit professional with proven achievement in management and public policy. 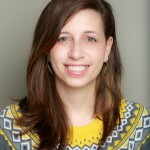 With nearly 15 years of experience, Yael has worked with various progressive nonprofit organizations, taking care to honor each organization’s culture and vision. 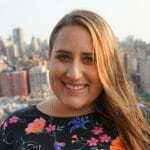 Yael holds a Bachelor’s degree from Yeshiva University and a Master’s degree in Public Administration from NYU’s Robert F. Wagner School of Public Service. Leon is a licensed clinical social worker who has worked in community based, clinic based and private practice settings. He has a Master’s of Social Work degree from Hunter College School of Social Work and also is in post-graduate psychoanalytic training at the Psychoanalytic Psychotherapy Study Center. Prior to working at Footsteps, Leon’s experience has encompassed working with individuals dealing with substance misuse, trauma, issues of sexual and gender identity, depression, anxiety, and HIV/AIDS. He is very passionate and committed to empowering individuals and communities and the mission of Footsteps. In his role as Senior Social Worker, Leon will provide group and individual support to members, supervise clinical staff, and further grow and develop our clinical care services. Chavie has been a Footsteps member since 2012, and a long-time supporter of the OTD community. Chavie will play a key role in building a network of those who have already made the transition out of ultra-Orthodoxy and are looking to be connected with Footsteps. She will be working closely with peer mentors, nurturing Footsteps’ online presence, and assisting in implementing leadership development programs. 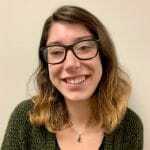 Hope joined Footsteps in September 2018 as an Avodah Jewish Service Corps member. As Program Associate, she is looking forward to getting to know members and assisting them with all things education and job related. Hope is a graduate of the Macaulay Honors College at Hunter College, with majors in Psychology and Women and Gender Studies. 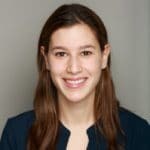 She previously worked as the Recruitment Assistant at Avodah, spent time volunteering at Lenox Hill Senior Center, and currently serves on Keshet’s Board of Directors. 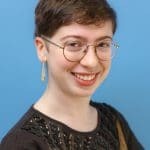 After completing her year at Footsteps, Hope will begin a dual-degree master’s program in Social Work and Jewish Studies at Columbia University and The Jewish Theological Seminary. Julia is passionate about fostering warm, open and affirming spaces for individuals and communities. Julia joined Footsteps in 2015, and as the Member Engagement Manager, she serves as the fist point of contact for prospective and new Footsteps members. Julia conducts initial meetings, provides direct member support, and facilitates Footsteps members’ integration with, and contribution to, the wider Footsteps community. Julia earned her Master’s degree in Social Work from New York University’s Silver School of Social Work in 2015. She also holds a Bachelor’s degree in English and Women’s and Gender Studies from Brandeis University. Sophie is currently pursuing a Master’s of Social Work at New York University’s Silver School of Social Work. Before joining Footsteps, Sophie managed a program focused on helping adults and families gain access to benefits and resources. Previously, she worked with children healing from traumatic events. Sophie is passionate about supporting individuals in creating a cohesive sense of self while finding their own paths. Her work with clients is in the spirit of collaboration. Emma comes to Footsteps from her year of service through Avodah: The Jewish Service Corps where she served as an Advocate at STEPS to End Family Violence. At STEPS to End Family Violence, Emma supported low-income survivors of intimate partner violence in their paths to healing as they navigated the complexities of the criminal legal system, public benefits, and more. Emma holds a Bachelor’s degree in Sociology from Brandeis University. 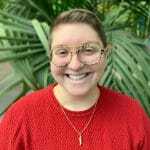 Emma is passionate about inclusive Jewish communities and has a long history working at her Jewish overnight camp, Camp Alonim, where she held many leadership roles. 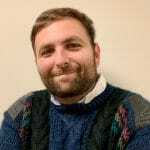 Scott is currently attending Silberman School of Social Work at Hunter College to earn a Master’s of Social Work with a concentration in clinical work with groups, families, and individuals. He also holds a Bachelor’s degree in psychology from Brooklyn College. Scott has been working in human services for almost twenty years. Scott’s view on social work focuses on social justice and its intrinsic connection to mental health, hoping to create real change through effective and compassionate communication. 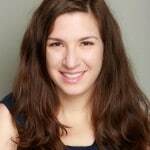 Danielle brings experience in nonprofit management, educational programming, advocacy, and startups to Footsteps. Her prior work has centered on promoting the right to self-determination for vulnerable and marginalized populations, with a focus on children, teenagers, and persons with mental illness and physical disability. She is the Co-Founder and Executive Director of Dida Academy, a nonprofit learning center for youth in Brooklyn. She currently serves on the board of the Alliance for Self-Directed Education. She holds a Juris Doctor from Brooklyn Law School and a Bachelor of Arts in Psychology from University of Rochester. Danielle joined Footsteps in 2018 to manage operations, finance, and human resources. Rachie has been a Footsteps member since 2014 and most recently was the Footsteps Community Engagement Intern. In their new role as Program Assistant, Rachie will continue to work with Team Community Engagement to create exciting, creative and meaningful events and programs. Rachie also contributes extreme organizing and administrative skills to our Economic Empowerment team, helping to manage Scholarships and Microgrants. Rachie brings energy, passion, creativity, along with invaluable insight as a long time member. 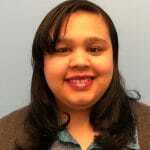 Rachie is currently completing a Bachelor’s degree at Medgar Evers College. 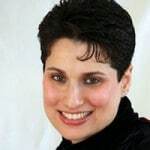 Nitza received a Bachelor’s degree in psychology from Brooklyn College and went on to Fordham University where she earned a Master’s degree in Social Work. Nitza was always intrigued to work with people of different backgrounds, particularly the many immigrant populations living in the boroughs surrounding New York City. Prior to her work at Footsteps, Nitza spent several years working at an outpatient mental health clinic in Jamaica Queens. Nitza was fortunate to receive her clinical social work training in one of the most diverse neighborhoods in the world. Nitza has acquired a deep respect for her clients from all walks of life and is committed to help them find their own paths. Nitza has a long association with Footsteps from its early days. 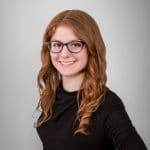 Cassidy is currently attending Silberman School of Social Work at Hunter College to earn a Master’s of Social Work with a concentration in Community Organizing, Development, and Planning. She also holds a Bachelor’s degree in Biology and Human Development from SUNY Geneseo. Prior to interning at Footsteps, Cassidy has worked with both the elderly and disabled populations and is interested in working with LGBTQ+ individuals in the future. Cassidy looks forward to working with Team Community Engagement to create inclusive, non-judgmental spaces and events that foster supportive and long-lasting relationships between Footsteps members. Eli earned his Master’s degree in Social Work from Yeshiva University’s Wurzweiler School of Social Work in 2001. He also holds a Bachelor’s degree in Psychology from Brooklyn College. 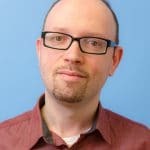 Prior to joining Footsteps, he worked for over thirteen years at The Jewish Board for Family and Children’s Services’ outpatient mental health clinics, providing psychotherapy, crisis intervention and case management to individuals, couples, and families. He regards the therapeutic relationship with others as unique and special, with the opportunity to foster support and change. Eli joined Footsteps in 2017 and in his capacity as Social Worker, he provides therapeutic support for Footsteps members. Yomaly is a Human Resources professional with over 12 years of experience providing one-on-one career coaching, resume writing, employer engagement, and strategic recruitment expertise within a variety of businesses and organizations. She is passionate about helping people achieve their professional development goals and finding their path to financial independence. Prior to joining Footsteps, Yomaly was the Senior Career Coach for seven years at a workforce development non-profit organization called Madison Strategies Group. At Madison Strategies, she created the foundation for all career advisement procedures across all the non-profit’s programs, lead many career readiness training initiatives, and cultivated employer relationships that helped hundreds of New Yorkers land gainful employment. Before switching to the not-for-profit sector, Yomaly served as a staffing firm recruiter and in-house recruiter for 5 years at a variety of businesses. She resides in Yonkers, NY and is currently finishing her degree in Business Administration with a concentration in Human Resource Management at Pace University. 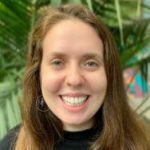 Molly joined Footsteps in October 2018 after completing a Master’s degree in Community Development and Planning at Clark University. She also holds a Bachelor’s degree from Clark University in International Development and Social Change with a concentration in Gender Studies. Molly’s studies have taken her to work in the nonprofit sector both abroad and domestically, from supporting feminist initiatives in Windhoek, Namibia to researching the barriers to affordable housing for refugees in Worcester, Massachusetts. She has also been an organizer and leader of a successful campaign to secure reproductive health and access on Clark University’s campus. Molly is committed to work that amplifies marginalized community voices in working towards equity and justice.